Back to school today for teachers. September resits, staff meetings, new schedules, new students. Too much paperwork for all of us, but let’s not forget this essential piece of advice. I write because I’ve been an avid reader all my life. My wonderful teacher, Sister Catherine, at St Thomas’s RC High School, pointed the way. She showed me where to look. She taught me to love reading. The last time I saw Sister Catherine, I was thirteen years old. That was 43 years ago. I don’t have a picture and I haven’t seen her since, but I have never forgotten her face, her voice, her smell, or what she taught me. Her voice was soft, sibilant, and smooth, like the water seeping along a stream. I vividly remember her reading Blake’s poem ‘Slowly silently now the moon, walks the night in her silver shoon’, and thinking that she might have written it herself. Her shape was hidden under a heavy white habit, but she was short and I guessed plump. Her eyebrows were grey, so I imagined her hair had turned grey too, although it was well covered by her long black and white cap. A stiff coif held her chin and face firmly in place, making the movement of her head appear awkward at times. Her cheeks were round, rosy and kissable, like a grandmother’s. She was also very huggable, although of course, we never, ever hugged her. She used to leave a waft of soap and talc in the air as she walked past, always slowly, not because she wasn’t young, but because she kept herself firmly in check. I don’t know how I know that, but I’m sure of it. Now I know that Catherine wasn’t her name. She was probably given the name Catherine, after her order’s patron saint, Saint Catherine of Siena, when she was ordained. I often wondered if she was living the life she wanted to live, because her eyes, swollen behind thick round spectacles, were sad. I suppose she was Irish, like the other nuns, but she didn’t have a hint of Irish accent like the rest did. I’m sure teaching and especially literature filled her life and compensated for her lack of children of her own. She rarely smiled, and her eyes were always expressionless, but her voice would light up when she read, and she read to us every day, usually the last period, and all afternoon on Fridays. For Sister Catherine, whose sweet and patient voice introduced me to the mysterious, delectable, and delightfully mischievous, Victorians. She was a great fan of Wilkie Collins, she read The Moonstone and The Lady in White. We also read Treasure Island, Great Expectations, Oliver Twist, and many wonderful poems by Blake, Keats, Wordsworth, and Hilaire Belloc, among others. I also remember enjoying Huckleberry Finn and Tom Sawyer, too! I had never read an adult novel before then, and I didn’t really read them. She would usually do so, although sometimes we read in turns. I was caught in her enthusiasm in reading about adventures in faraway lands and eras, and the yearning grew over the following years. I moved to another school, the following year, but my love for the Victorians grew. I wish I could tell her she sowed the seed of the reader I am and therefore the writer I have become. The first day of the school year is a fitting time to pay a tribute to the very special teacher who I will never forget, sweet Sister Catherine. 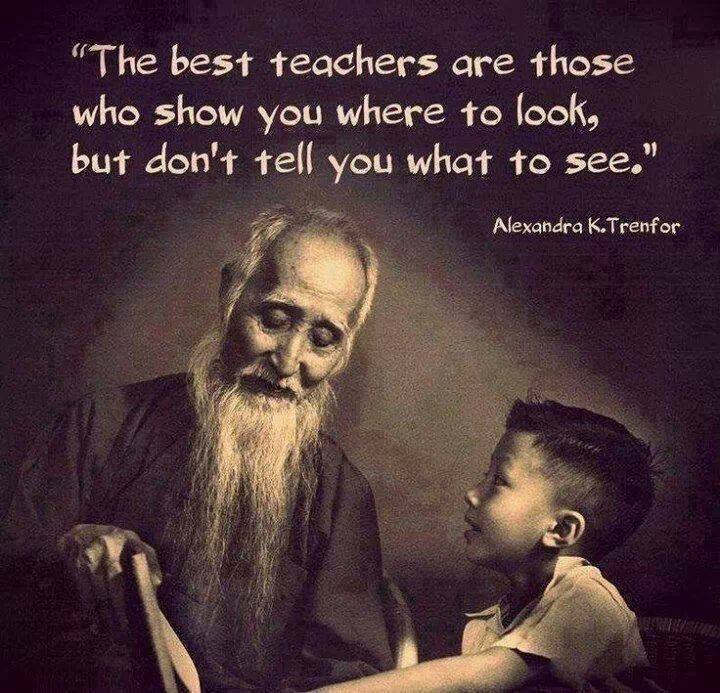 Do you remember a special teacher who showed you where to look? Yep, the complete antithesis of Sister Catherine. Colin Boun a self confessed Marxist who taught me history at A level. He loved how the world fitted together, how everything connected. he opened my eyes to research, to the hidden human stories inside otherwise dry history books. He may have had very specific left wing views which appeared in debates on Apartheid and the plight of the Ugandan Asians and the black peoples of what was still Rhodesia under Ian Smith but he could argue from every perspective and expected us to do likewise. If anyone taught me to seek to empathise to understand it was Colin. And he was easily the most unhuggable man I’ve met! Thanks for sharing, Geoff. Mr. Boun sounds great! Well, on my behalf I’ll say I was only 13 and didn’t have a grandmother, or many people to hug or show me what to read. I was intellectually lost at the time. I didn’t have a clue what to read and Sister Catherine showed me. I can never thank her enough. I also discovered a more complex world at ‘A’ Level, I did French, so Sartre and Camus, were eye openers, but I think teachers had ceased to influence me so much at that stage in my life. I’ll tell you a secret. I had a crush on one of my teachers. He was part time stunt man. He did many of Sean Connery’s stunts, there was a similarity, so he was hot 🙂 I think he was the only good looking teacher I’ve ever had. I’ll never forget him either! I had a wonderful English teacher, too – Mrs. Urann. We called her Ma. She was like a pear on two toothpicks, and her voice carried. She loved jokes and often teased other teachers when they came to visit our class. She made me a grammar nerd, too! A pear on two toothpicks? The mind boggles! She sounds like fun! Lovely tribute to a teacher who had a profound influence on you. I read another post about another teacher today. Neither knew the specific influence they had, but I guess it is the passion for learning, the hope for the future and the wish to positively impact the lives of others that urges we teachers on, isn’t it? I love the quote you opened your post with. Thanks. That’s true. I am listening to a great book at the moment “To Teach: The Journey of a Teacher”. It is a wonderfully inspiring resource for all teachers and pre-service teachers. I was listening to a section this morning in which William Ayers described the timing of learning to read of three different students: each learns in their own way and time; and not always in our own classrooms. That doesn’t mean what they learned from us lacked significance. The book sounds wonderful! That’s so true, each person has their learning style including speed etc. Trouble is schools have difficulties catering for difference (administration, student numbers, school inspectors…) at least that’s my experience as a teacher. The real ‘revolution’ or ‘evolution’ in schools has yet to come. I hate being negative especially with someone who is as optimistic as you are, but I can’t see it coming, at least not where I live and work. Entiendo tu admiración, Luccia Gray, porque yo también he tenido la suerte de haber tenido en mi vida una profesora que me marcó de por vida y abrió la senda del amor al saber, a la ficción, a lo mitológico, a la literatura, a esa voz que se entremete por las comisuras del pensamiento y nos embriaga como el perfume del azahar de estos días. Gracias por compartir tus recuerdos de Sister Catherine, sin duda fue alguien muy importante y tú le has hecho un tributo maravilloso: recordarla.